This is one of the simple jquery concept to select the color form the color combination using the color code using the textbox. 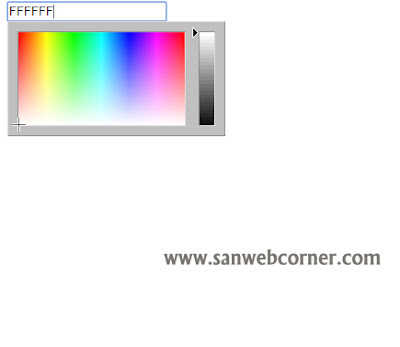 This is very useful to choose the color form the color code from the website using jquery. And easy to identify the colors manually using color combination image and also the color code is visible in the text box when pick the color form the color combination image.